Over the last couple of months, Bon Appetit’s Alex Delany has been co-teaching a series of classes at our flagship shop on Bleecker Street, alongside our Assistant Manager of Education and Events, Christine Clark. Alex is Bon Appetit’s Associate Web Editor, meaning he’s no stranger to teaching about food and beverage, but he usually does so on the page. We spoke with Alex about what it was like bringing his knowledge to the classroom, how he and Christine developed their classes, and what the two of them have in store for the future. Murray’s: You write a lot about beer and cider, but you don’t often teach them in a live setting. What was it like having your audience right there in front of you instead of as an abstracted reader somewhere far away? What do you think attendees learn in an interactive experience that they might not otherwise pick up? 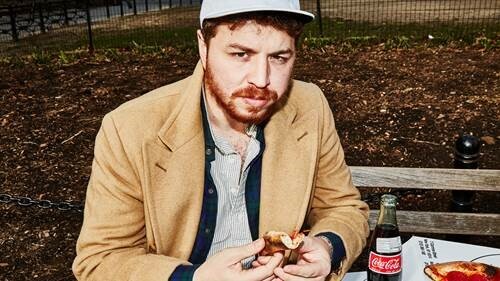 Alex Delany: Seeing people’s faces when they try a weird beer or cheese is amazing. Or seeing them look completely puzzled when I’m explaining a beer concept or fermentation technique. It’s really nice to have visual cues that let you know people want to hear more or don’t fully grasp whatever I’m talking about, or just to have students interrupt. People can stop me and say, “Wait, wait, wait. What?” It’s easy to get carried away with something you’re super nerdy about. Having an instant barometer for the information you’re relaying is extremely useful. It lets you figure out how to relate to a person. I’m the type of person who will choose talking to someone instead of reading something 100% of the time…and I’m a writer. You retain and understand more through conversation, which is why I love these classes so much. I think the students really learn. They leave with information that they actually understand and can share with friends. That’s so rad. Murray’s: What was your process for preparing for the classes? How did you decide what you wanted to talk about? Alex: I’ll send Christine a rough list of what beverages I think will fit for the class, and after we source them, we sit down sometime the week before the class and run through potential pairings. Sometimes it’s immediate. We try a cheese and a beer, and it’s like, “Oh. Yes.” And other times it’s really tough. It’s usually an hour or two of drinking and eating cheese, so either way, it’s pretty great. 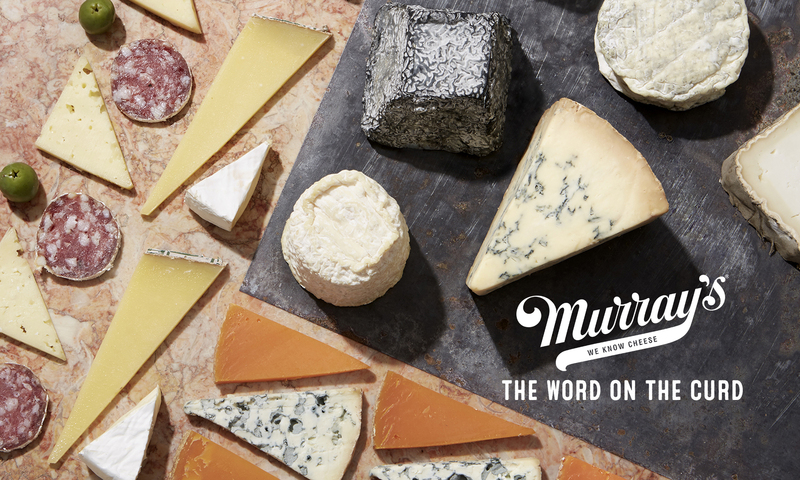 Murray’s: How did the process of pairing beverage with cheese expand your appreciation of each? It gives you a different context to see the beverage and the cheese in. It lets you learn more about each component of the flavor and aroma. It can be one thing in a comfortable environment and something else entirely in an unfamiliar place, which makes you look at whatever you’re tasting as something with potential for change, not just a constant. Murray’s: When you and Christine were putting together your Cider & Cheese class, there was one cider in particular that you spent a lot of time finding the right pairing for. I think you went through 17 different cheeses before you hit on the right one. Can you talk about what that process was like, and what you learned about the pairing process from solving such a stymying cider? Alex: So we went through a ton of cheeses trying to find a pairing for Art + Science’s Symbiosis. It’s a blend of cider and Grüner, which we both loved and thought would pair beautifully with a bunch of cheeses. But it was almost like the cider didn’t want to be paired with anything. There were some mediocre pairings, and a ton that were truly terrible. Lots of animal and dirty diaper tastes. Lots of really disgusted faces. But it kind of showed us that you have to go into a pairing with a totally blank slate. Leave your preconceived notions at the door. Pairing is more of a process and less of a calculation. Each cheese or beverage will react differently, no matter how close they are in classification or style, so it became clear that we were kind of just along for the ride, until we found our stop. Whether we’re talking cheese pairing or life, sometimes you just need to let things happen without forcing anything. We got it eventually. Murray’s: You are looking at teaching a new set of classes with Murray’s. Can you give us a hint at what you have in store? Alex: Hell yeah! I’m pretty stoked on the two classes Christine and I have coming up next month. One is going to be a beer and cheese pairing class that highlights the American brewers and breweries we’re most excited about. It’s going to be a chance for people to taste some really special beer they wouldn’t normally be able to get their hands on. And then we’re also going to do a wine and cheese class. I mostly drink beer and cider, but I really love wine too. I have a pretty steadfast rule that I don’t buy bottles of wine that cost more than $25, so we’re going to let that determine the bottles that we pick. There’s so much incredible wine that’s extremely affordable. People need to start embracing that more. Hopefully we’ll get a nice mix of funky, natural stuff and well-executed classics.